I mean, it's a wonderful time of year, filled with goodness and cheer. Whether you display a nativity or a festivus pole, a tree or a menorah, just share the love. Don't dig your heels in over the word "Christmas" and don't judge others for how they celebrate the winter season. (Remember, it's summer in Australia.) Baby Jesus or Santa, Seven Principles or Maccabees or Solstice, let's all just enjoy the holidays together in our own special ways. 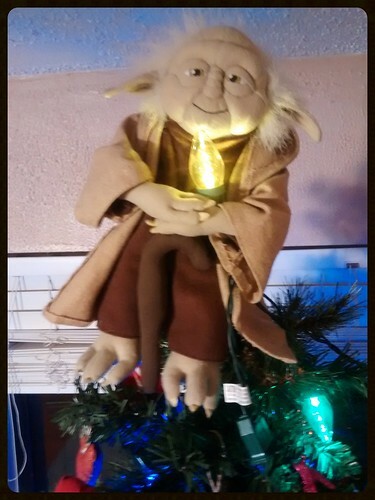 Merry Christsmakkuhvuswanzaastice to all and to all a good force be with you.